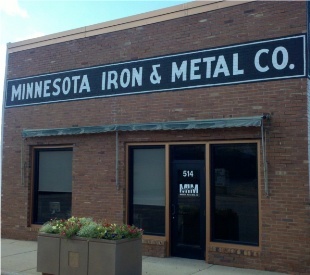 Minnesota Iron & Metal is a steel distributor with an inventory of over 450 product lines. Our extensive mill and warehouse connections can locate those hard to find items with over 500,000 lbs of in stock inventory. MIM has been helping build the future of southern Minnesota since 1905. No order too small or too large. Our policy is to ensure that the materials our customers order will be of desired quality and delivered in an expeditious manner. We are able to offer big-steel distributor services without sacrificing the personal relationships and small-town focus that set us apart. We have over 105 years of experience in the industry. Minnesota Iron & Metal has come a long way in the 105 years, but customer service is still our number one priority.